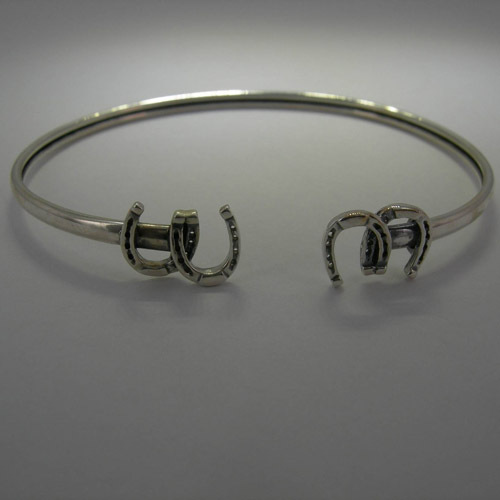 Desc: Sterling Silver small, light double horseshoes cuff bracelet. 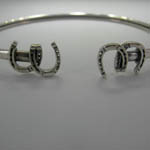 Each terminal of the bracelet ends in two intertwined horseshoes. The horseshoes are fully detailed and has holes where the horseshoe nails would go. The bracelet is flexible to go on and off of the wrist. The bracelet has a bright polish finish and is made in the United States of America.